Coal stocks have been red hot. On this weekly chart you can see a move from 70 cents to over $2.00. When will the move end? 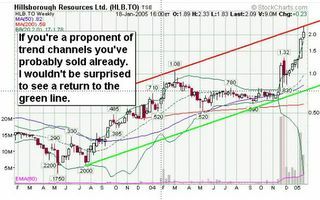 Good question - nobody really knows for sure, however technical analysis gives us some useful clues. 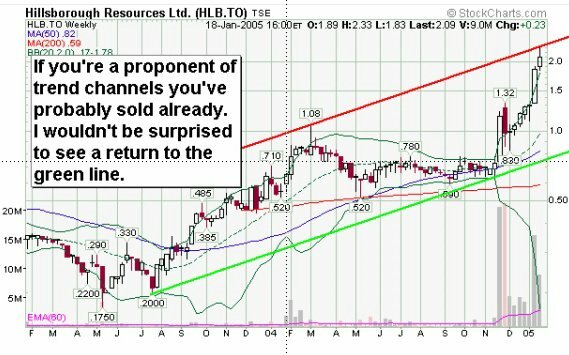 Resource stock charts often have parallel trend channels on long term charts. We like to buy near the green line and sell near the red line.